Enjoy wireless convenience and crystal-clear audio when talking on your iPhone. 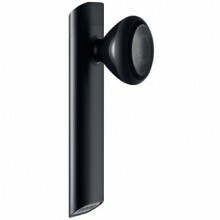 The iPhone Bluetooth Headset features a single button that lets you make and receive phone calls simply and intuitively. And the innovative design is sure to turn a few heads.